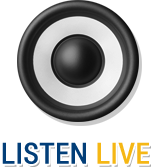 Four hours of the greatest hits of a generation hosted by radio’s greatest storyteller, Scott Shannon! Scott Shannon has already had a “hall of fame” career in radio, and his most recent distinction was his appointment as the new morning drive host at WCBS-FM in New York this past March. Shannon’s career has spanned more than four decades, and, among his accomplishments, he is credited with developing the “Morning Zoo” format for morning shows. When Scott arrived at WHTZ (“Z-100”) in New York, he took the station on a legendary ride “from worst to first.” His next stop in New York was at WPLJ where he co-hosted the Morning Show for 22 years. In addition to being an avid record collector and musical authority, Scott is also the creator of the round-the-clock “True Oldies” Channel which is currently distributed online. He has hosted nationally distributed radio shows and specials in the past, and he has also anchored music programming on television, including a stint as an original VJ on VH1. 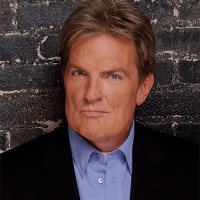 Scott Shannon started in broadcasting as a teenager, and in his storied career has won numerous awards including a Marconi Award from the National Association of Broadcasters, a group that has also inducted Scott Shannon into their Broadcasting Hall of Fame.